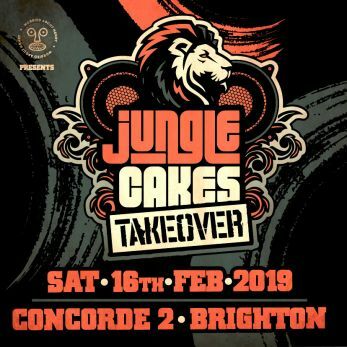 Join us as we bring the Jungle Cakes tour to Concorde 2! On the night we will have the biggest B2B2B in jungle music, fresh from their sellout 2018 tour and Lions Den takeover at Boomtown, we are delighted to welcome ED SOLO B2B DEEKLINE B2B SERIAL KILLAZ & BENNY PAGE! As always they will be joined by our trusted resident Arcane, with proceedings hosted by Deefa!